The brand Sealy has been around since the 1800s, so it makes sense that they’ve learned quite a bit about what people want out of a mattress. However, they don’t just make your run of the mill innerspring mattresses. They’ve taken a step into making memory foam mattresses that are sure to help make sure you get a great night sleep. There are a number of lines that are created by Sealy. Each line has different benefits. Some are cheaper than others. Some provide better ventilation in the foam. Others offer to help make sure that your back and spine are better supported. We’ll be going over the basic lines that you can find in this article. But in order to help make sure that you are getting the most out of your sleeping experience, we’re including individual Sealy memory foam mattress reviews as well in this article. Those reviews will allow you to get a taste of the individual benefits of some of Sealy’s memory foam mattresses. 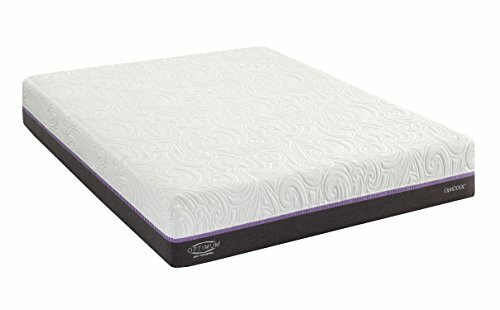 There are tons of different mattresses that are included in the essentials collection. The defining feature of this line is that these are the most basic memory foam mattresses that they make. They come in a range of firmness and softness levels, so you’ll be able to find something that really works with your body. These mattresses are going to be thinner and use layers of foam when compared to other models. The layers of foam that they use are also a little bit more basic. This doesn’t mean that they are bad quality. It just means that the foam isn’t as durable or isn’t as developed in other lines. You’ll be able to get reasonable support and plenty of comfort in these lines of mattresses. Because the bottom layer of foam might not be as dense as in other lines, you might find that some of these mattresses are going to be a little bit softer than other lines. This isn’t necessarily a drawback, but it means that the people that will enjoy this mattress are going to be more side sleepers and not many back sleepers. This line won’t work well for people that sleep on their stomachs, but that is true of many memory foam mattress lines. However, if you’re looking for a good quality mattress that won’t necessarily break the bank, then this line is going to be the most affordable that you are going to find. If you found that the previous line of mattresses just wasn’t enough for you, then you’re going to want to take the next step up to the performance collection. It has many of the same features that the essentials collection has, but it also improves upon some of the basics. This line has more emphasis on making sure that you’re comfortable through the night. In order to help, they include a special layer of gel memory foam that is going to keep you cooler throughout the night. Overheating is a consistent problem with memory foam. While the essential line can also contain a gel memory foam that will help keep you cooler, this one has a layer dedicated to it. The edges of the memory foam are also a little bit different. The foam is made in a way to help support the flexing of the edges. This means that you’ll be less likely to experience issues with the edges. Other memory foam mattresses may not be able to handle the edges constantly moving. 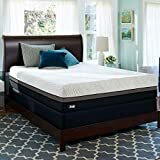 This type of memory foam mattress is going to cost quite a bit more than the previous line because of all the improvements that were made upon the essentials collection. However, it can really be worth it to get that mattress that is so much more comfortable. It isn’t the most expensive line that Sealy has, but it is typically more expensive than some mattresses you can find on the market. The premium collection is the most expensive line that Sealy has. There’s a good reason for all of the money that you’ll be spending on this mattress. 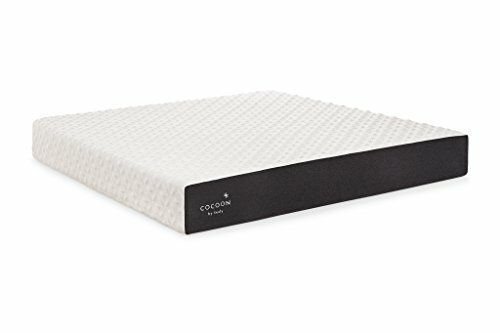 Unlike other memory foam mattresses that are on the market, you’ll find that this one is pretty much made to behave like an innerspring mattress. This is great news for so many people. This means that you won’t have to just lay on the mattress, but you’ll be able to sit on the edge without feeling like you’re sliding all of the way off. It still comes with all the layers of memory foam that the other collections do, but the foam itself has been improved upon and turned into something that will really last for a long time. The other lines of mattresses gave you tons of options about firmness. You could find firm, plush, and everything in between. With the premium collection, you’ll find that you’ll find more on one side of the spectrum or the other. There are not many options between the two. This isn’t necessarily bad, but it can be annoying for some people that need something more between the two or for couples who have different sleeping styles and need to compromise on a style. However, the mattress is going to be a great quality and will last you for quite a long time. People will, of course, have their own issues with the memory foam mattress, especially if they’re not used to memory foam. However, if you know that you want a memory foam mattress that does all the right things, then you’re going to want to go with this particular line. This line might not be one that you’ve heard about before, but that’s because the line is exclusively online. If you’ve been looking in stores for mattresses, then this one definitely won’t appear there. This can make it difficult to really decide if you want this mattress. However, the line is made to be customized. The mattress is actually made with a pretty set design, but then you’ll get to pick whether you want a firm or a soft mattress. The simple choice that you get to make here can mean all the difference in the long term. Even if you go the firm route, there will still be some comfortable and soft foam on top. There is also a layer of cool gel memory foam inside of the mattress as well to make sure that you’re really getting the most out of the mattress. Getting a mattress like this online might be a little bit terrifying if you’re getting it from a brand that you don’t know well. But you can test out other Sealy mattresses and see how you feel about those. This line will cost a pretty penny, but at the end of the day, this line might be one of the best that you can invest in. While the Posturepedic technology is involved in several of the other collections of mattresses that Sealy makes, there are memory foam mattresses that are specifically made for the Posturepedic line. The Posturepedic technology is all about the spine and making sure that you’re doing the right thing for your body while you’re sleeping. In many cases, you’ll find this as a memory foam or hybrid mattress. Either configuration is going to help your back and make sure that you’re able to really do all the things you need to. The mattress is meant to make sure that you’re getting all of the support that you need. Support can make a major difference when you are trying to make sure that your back is doing well during the night. It doesn’t matter if you are sleeping on your side or on your back, the mattress will be able to make sure that your spine is in the right alignment whenever you’re laying down. This can really make all the difference in your day to day activities. You don’t want to wake up in pain on a regular basis. It can destroy the rest of your day. A mattress that has an emphasis on good posture will help make sure that you’re not suffering when you’re getting sleep. It can even help make sure that you’re getting enough sleep and not tossing and turning during the night. While we have hit most of the well-known mattress lines that are made by the company, there are a couple that we have not hit on. These lines have more limited mattresses or might not be as widely available. However, just because they’re limited doesn’t mean that they’re not great. All of the mattresses made by Sealy are made with good quality materials and great construction. They may require doing a little more looking at reviews on the individual products, but don’t discount them just because we haven’t had the time to mention all of them here. Whenever you’re looking at a memory foam mattress, you’re probably going to face the inevitable question of whether or not the brand you’re looking at is better than Tempurpedic. Tempurpedic is well-known as the first brand that really decided to get involved in the creation of memory foam mattresses. The mattresses made by Tempurpedic were great when they were starting out, but now people are finding that these mattresses aren’t that great anymore. The issues that people have with the Tempurpedic mattresses now are that the mattresses aren’t as cool and don’t offer all of the varying benefits that other lines do. Sealy’s optimum line works well and offers a lot that the Tempurpedic mattresses do not. This includes getting a cooler night’s sleep with cool memory foam involved in the mattress. There are also different variations of foam that are used to help create a supportive surface that is then covered with a layer of memory foam that will offer a lot of comfort for the sleeper. In the modern market, you’re going to find that Sealy is going to be more useful than Tempurpedic. Tempurpedic did start the memory foam craze, but they haven’t done a lot to improve upon the mattresses that they have. Sealy and other brands have done a lot more to really customize the sleeping experience. The Optimum Destiny Gold mattress by Sealy is one of the better mattresses that they have. The mattress isn’t just about the memory foam. This mattress instead also has a focus on making sure that you’re cool throughout the night. There is a 2-inch layer of gel memory that contains OUTLAST Gold. This material ensures that the mattress will keep cool during the night. This particular mattress will also mean that you’re going to be happy throughout the night. This is especially true if you live in an area that tends to get really hot during the night almost all year long. You might have some issues during the summer as the mattress will sap out more heat. This may mean that you will need to adjust the setup for the bed during the colder months. This mattress is part of the Posturepedic line. This means that the mattress is really going to work well and make sure that you’re comfortable from the time that you lay down to the time that you wake up. The mattress will support you in all the right places and make sure that your spine is supported, regardless of the way that you sleep. Having proper alignment is the best way to make sure that your body is able to handle the rest of the day. This mattress is a very specific one from the Posturepedic line, but it is definitely something you should look into if you have back or spine problems. 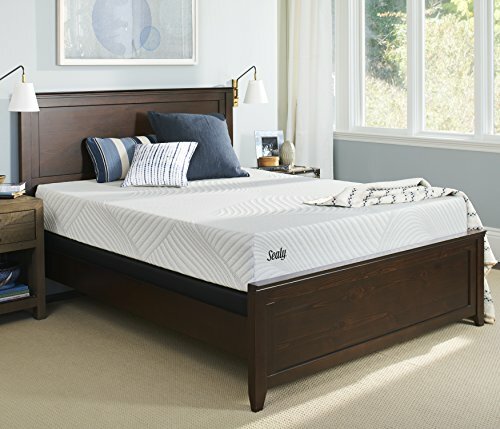 Here are quick reviews of some of the best memory foam mattresses by Sealy. This mattress is in the middle of the road when it comes to the firmness. It is a little bit on the softer side, but it has some firmness to it to make sure that it works for more than just those people that want a plush surface. This is from one of the most basic lines of mattresses, but there is still plenty to love about this mattress. Not least of all is how affordable the mattress really is. There are plenty of lines by Sealy that are going to be a little bit more expensive and have extra features. But if you’re not interested in those things, then this line and its cheaper price tag are going to be great. This mattress is going to be focused on making sure that you are comfortable, but there isn’t a lot there that will make sure that your night is that cool. This can be a huge letdown for some people, but it can also work for others. It can mean that you just adjust the number of sheets and blankets that you have on the mattress. However, despite that, there are tons of people out there that find that this mattress is just right. It’s extremely comfortable to lay on for a variety of different people. Whether you sleep on your back or your side, this mattress will be able to work with you. It will also be nice because you won’t disturb your partner too much while you sleep on this mattress. This particular mattress is part of the Sealy Cocoon line. This means that it’s easy to pick if you want a firm or softer mattress. This is an option that you will find directions on the page, but we’ll be covering the firm version in particular. However, both versions are really comfortable. From the outer layer to the base layer, everything in this mattress is trying to really work with you. The outer layer of the mattress is a cover that you won’t be able to remove. This might be a downside for some people that really want to be able to wash the outer layer. This can also mean that you’ll need to get another cover if you want to really protect the mattress. The firmer layer on the bottom will allow you to feel like you’re on a more normal bed rather than a really soft memory foam mattress. This can be great for some people that are concerned about getting a memory foam mattress instead of a more traditional innerspring mattress. The biggest drawback for some people will be the fact that you won’t be able to test out this mattress before you sleep on it. This is due to the fact that the mattress is only available online. You’ll have to really read through the reviews, but even then you’ll have to go with your gut on how you feel about this mattress. However, at this price, the mattress will probably be a great fit for your life. If you live in an area that is warm or if you are a person that normally runs warm, then you’re going to find that this mattress is going to be great for you. This style of mattress is made with cooling elements in every single layer. You will be extremely cool during the night. This can be the best possible way to help yourself get to sleep. Beyond the cooling element, this mattress is made with different layers of foam. There is a base layer that will provide most of the support and couple of layers on top that provide a softer surface and then the layer that is dedicated to the cooling element as well. This combination will allow you to get a great night of sleep since it will support you in all the right ways to keep your spine aligned. When you sleep in a position that doesn’t necessarily work with your spine, then you’re going to find that you’re going to have problems during the waking hours. However, the plushness of the mattress and the softness of the mattress will work together to provide support where you need it, but keep the pressure off of areas that don’t need it. The mattress will conform to your body a bit as well, which helps with the comfort. This one is on the firm side which means that it will tend to work better with those that sleep on their backs. However, there is still a couple inches of softness that side sleepers will also enjoy. Getting a new mattress can be a daunting task. You’ll have to try a ton of different mattresses out. However, you may be able to narrow down your choices by deciding on a brand that has just about everything. Sealy’s mattresses are all made to really help you get the best night of sleep. They’ve been creating mattresses for hundreds of years, so they’ve got a good handle on what you really need. While the mattresses might be a little bit expensive, they will be incredibly comfortable regardless of what style. The memory foam mattresses, in particular, are great. In order to help you understand what mattresses are great, we’ve not only given you the rundown on the mattresses that are made but we’ve also given you specific examples that you can find online that are likely going to fit you. So take some time to go through these and find the Sealy mattress that fits you best.